The Afghan and U.S. governments have been pursuing talks with the Taliban for several years now, although in 2018 they seem to be gathering momentum, perhaps leading towards full-blown negotiations to end the conflict in Afghanistan. Despite this growing entente, there is still an issue that hampers the efforts of the U.S. government – few people truly understand what is driving the Taliban insurgency. This same problem hampers military operations in Afghanistan, and tends mean that those operations create more problems than they solve. Much has been written about the Taliban, very little has been written by them. Those Westerners who seem to understand the Taliban the best are academics, many of whom have spent considerable amounts of time researching the insurgency from primary sources in Afghanistan. And while much has been written in English about the Taliban, very little has been written by them. That is what makes “My Life with the Taliban,” the auto-biography of Mullah Abdul Salam Zaeef, so unique. 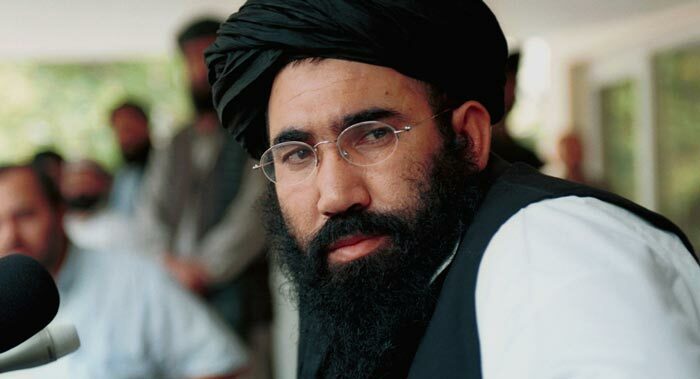 Zaeef is a founding member of the Taliban movement and was both a minister in the government of the short-lived Islamic Emirate of Afghanistan and its ambassador to Pakistan. He was arrested by the Pakistani government shortly after 9/11, and spent several years in Guantanamo. Upon his release in 2006, he became one of the “reconciled” Taliban living a peaceful life in Kabul. Increasingly, however, he felt under threat – particularly when his house was attacked and a guard killed in 2016 – and he now lives outside of Afghanistan. Of particular interest is his description of his early life, and the times leading up to the formation of the modern Taliban movement. There is an “everyman” quality to his story that would resonate with many – he was a poor boy from a rural farming community, orphaned and displaced by war. Growing up, he took the opportunity to study hard when presented to him, and later to fight against what he saw as the unjust invasion of his country by the Russians. His description of his time as a mujahideen and a leading figure within the Taliban is unapologetic, and it is certainly true that there are many unpleasant things nestled between the lines of his writing. When he describes Kabul returning to “normal” after its capture from warring factions in 1996, we should remember that he is talking about a shell-shocked and traumatized people, subjected to many months of fighting and living under siege, who now faced the strict discipline of a theocratic police state. The Taliban movement was simply a logical extension of the mujahideen movement. Although Zaeef has long been considered a “moderate” Taliban, he rejects any distinction between moderates and hardliners. From his perspective, all of the founding members were equally disgusted by the anarchy that consumed Afghanistan during the civil war, and equally dedicated to creating stability if not peace. For him, and undoubtedly for many others, the Taliban movement was simply a logical extension of the mujahideen movement. Zaeef does not reflect on the excesses of that regime in any meaningful way, or attempt to justify what was done other than in the simplest of moral terms. If he has any regrets, he does not mention them. Some reviews have complained that Zaeef does not provide a blueprint in his work to describe how to bring about peace in Afghanistan. To me, this seems too much to expect from an autobiography. A better measure might be the fact that he seems to be a central figure in the ongoing discussions that are intended to lead to peace – whatever his past faults, he seems to currently be doing more for peace than most. The most important thing that his autobiography gives us is an opportunity for Westerners to listen, and to better understand what the Taliban were, and arguably still are, trying to achieve. Once that understanding is achieved, the potential for peace will grow – but not before then. “My Life with the Taliban” is available here.